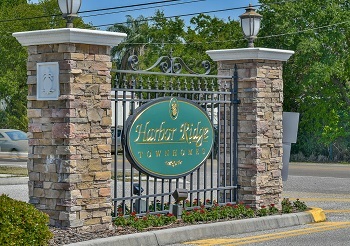 The newly constructed townhomes in the Harbor Ridge neighborhood in Palm Harbor are the perfect way to live in an upscale area while remaining on a realistic budget. The homes here are medium sized - coming in at 1400 to nearly 2000 sq ft, and feature primarily 3 bedrooms and 2.5 bathrooms (with some variations). With two car garages and access to the community pool, you might think you're living in a single family home! It's also a pet friendly community, which is a must for many folks - so don't be afraid to bring along your pup when you decide to move in! Harbor Ridge is also close to a whole host of shopping, dining, and entertainment options. The world famous Innisbrook Golf Club is located just across the street from you! If you want to learn more about this community or about Palm Harbor, Florida in general, pick up the phone and get in contact with one of our agents - we will be happy to help you find a home! Selling your Home in Harbor Ridge? Never go into a sale alone. Hire a Lipply Real Estate agent to help you every step of the process fast, skillfully and confidently. Our agents have been selling homes and establishing happy clients throughout the Palm Harbor Community since 2002 and we do not plan on stopping anytime soon! Start by contacting a Lipply agent today or enter your information into the form below to get started!